Crowdfunding campaign for our launch title now live! We’ve just started a crowdfunding campaign on Indiegogo for our launch title, the beautiful picture book, Two Trickster Tales from Russia. 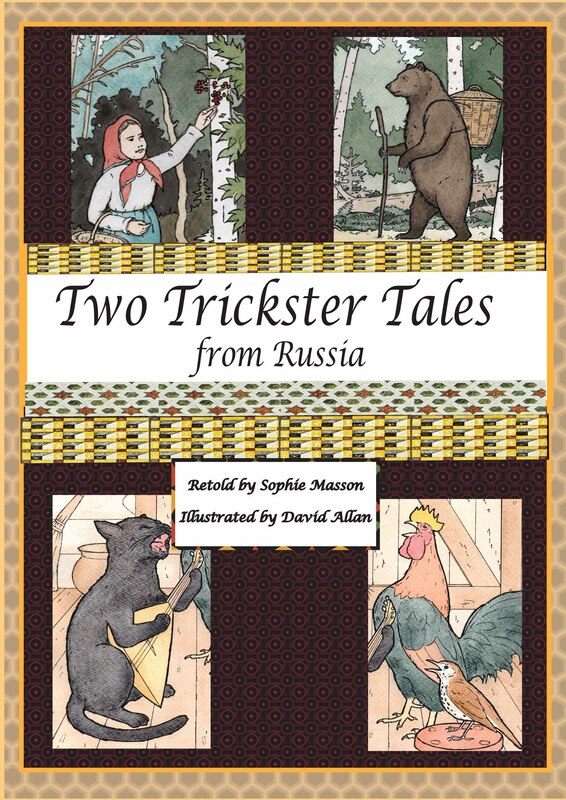 Two Trickster Tales from Russia contains two much-loved folk tales from Russia, with the first being Masha and the Bear and the second being The Rooster with the Golden Crest. These entertaining tales, with their endearing and resourceful characters are perfect both for reading aloud to small children and also for older children—and adults!—to read on their own. Retold in bright, lively prose and verse by well-known children’s author Sophie Masson, the tales are illustrated by David Allan in a style inspired by classic Russian children’s illustration, with glorious full-colour spreads, delicate line drawings, and sepia washes, while the sensitive design by Fiona McDonald is also in keeping with that classic look. We’re looking for your help with printing costs, for a limited-edition first run of 500 A4 size paperback copies, printed in Australia as we are believers in keeping our country’s printers in work too! We are planning to launch the book in late October this year. You can donate an amount as small as $10 or as high as $1,000, with lots of wonderful perks. The $25 donation is basically a pre-order for the book. Have a look at what we’re offering! And please share with all your friends and contacts!